With Michael Hanlon as my guide I made the Western Front Tour. 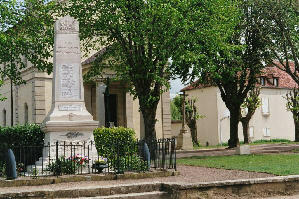 Michael is extremely well informed of all the battle sites and museums and monuments in both France and Belgium. 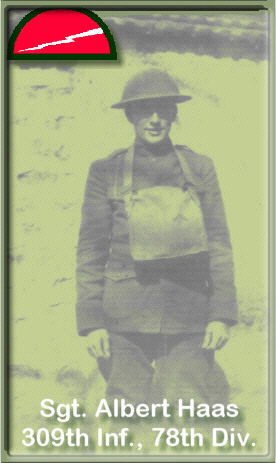 He is professional, personable and well informed in the literature, art and music that came out of World War I. The purpose of my trip was to add to my late Father's Diary which he compiled and wrote following his tour of duty in the Great War. 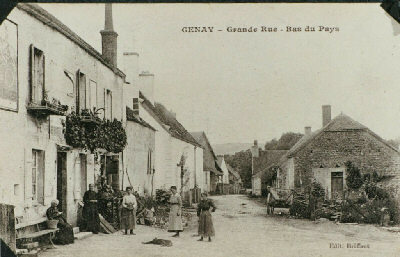 One of the highlights of my odyssey was our visit to the small village of Genay, some 150 miles from Verdun. 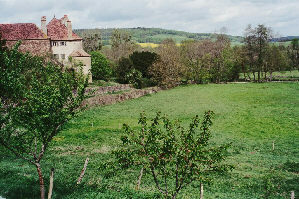 My Father wrote about Genay, and Madame Alliard in whose farm house he was billeted eighty-five years ago. With Michael's expertise, a letter was drafted to the mayor and translated into French, telling why I wanted to visit Genay. The Internet provided a post office address for Genay. Within a week the Mayor, Jean Michel Garrault, responded to my mail, with "It will be a great pleasure to meet you." In answer to my question about the farm house, he added, "The house is still there." I later learned the house dated back to 1681. Michael's response was "Looks like we're going to Genay." It was a pleasant Sunday afternoon when Michael turned from the highway onto the narrow, one lane red clay road leading into Genay. We drove to the church as the mayor instructed and were met with complete stillness with no one in sight. Most of the medieval-like buildings were shuttered. There were no businesses nor a school. In a sense we drove out of 2003. 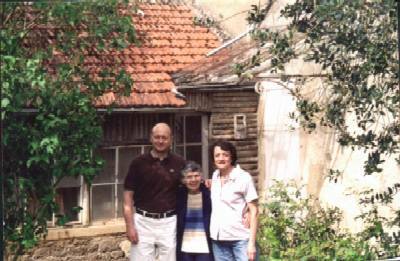 When we did see a pedestrian, she directed us to the house of Monsieur Gaurraut where he and his wife and their adult son gave us a warm welcome. When I focused my camera, the mayor was ready with his. 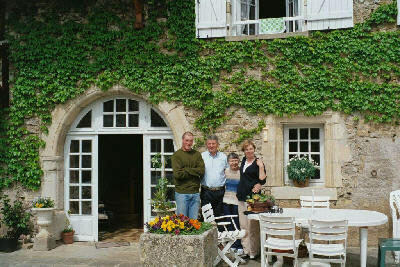 A short walk took us to Madame Alliard's home where we met her great grandchildren, Laurent and Sylvie. 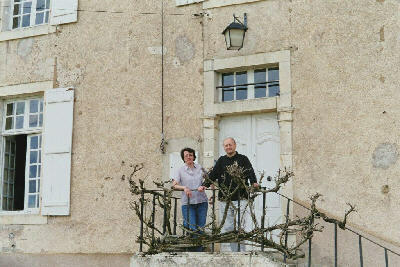 Both live and work in Paris, but maintain the property as a vacation retreat, not as a working farm. In the long, high-beamed-ceiling room, with its open hearth, our hostess took from one of the massive, highly polished chests, a post card album and bundles of correspondence. 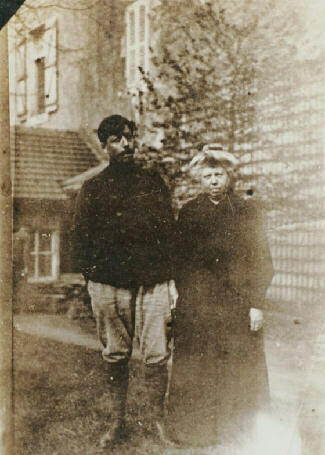 Among the letters to Madame Alliard was the one received from my grandfather, dated March 1919. Written in French, my grandfather expressed his gratitude for making his son's stay with her a warm, safe experience. I gasped when I saw my great grandmother's name on the back of an envelope, containing picture post cards of St.Louis, Missouri, she sent Madame to show her my Father's home. I now have a copy of that letter and of the Christmas greeting my Father sent Madame after he returned to St.Louis. I gave each of them a scanned photo of Madame and her son which was in the Diary. Michael then photographed me with Laurent and Sylvie in the garden against the same background. As we walked back to the Mayor's home other residents called out greeting from their windows. His wife's parents made a brief stop to say bonjour. Sitting at the round table, the Mayor presided over a champagne toast. I found it interesting that despite the antiquity of the Village, television sets, video players and computers were visible. They drove up-to-date cars and wore jeans. Later, I wondered out loud what Dad would make of Michael borrowing a laptop computer to check his email through an internet site. That evening I hosted a dinner for the six of us at an excellent restaurant overlooking the walled town of Semur. Despite their limited English and our limited French, it was a fun evening, with real French cuisine and taking more pictures. I felt a sense of bonding among us -- no longer complete strangers. Michael and I departed the following morning leaving the home where my Father stayed eighty-five years ago. Back on the highway, we returned to 2003 and headed for the St. Mihiel Salient where my father had his closest call to death.